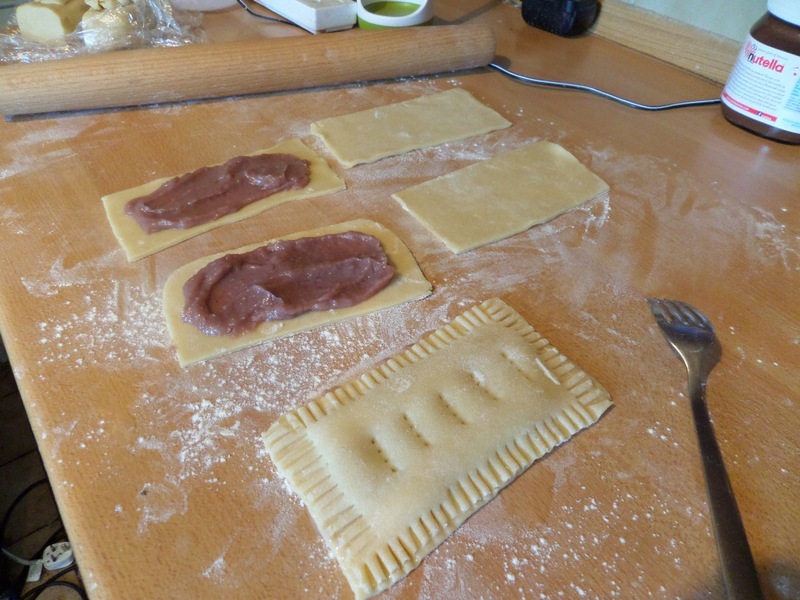 At 200 calories each, and with no redeeming nutritional value, Pop Tarts are horrible brown food. However… sometimes I crave them. Probably a childhood comfort food thing. Making them myself probably won’t make them any less calorific, or more nutritious, but at least they’ll be home made! For the jam filling, heat everything on the hob until it starts to bubble, then leave to cool. Mine was lumpy from the cornflour, so I strained it through a sieve. 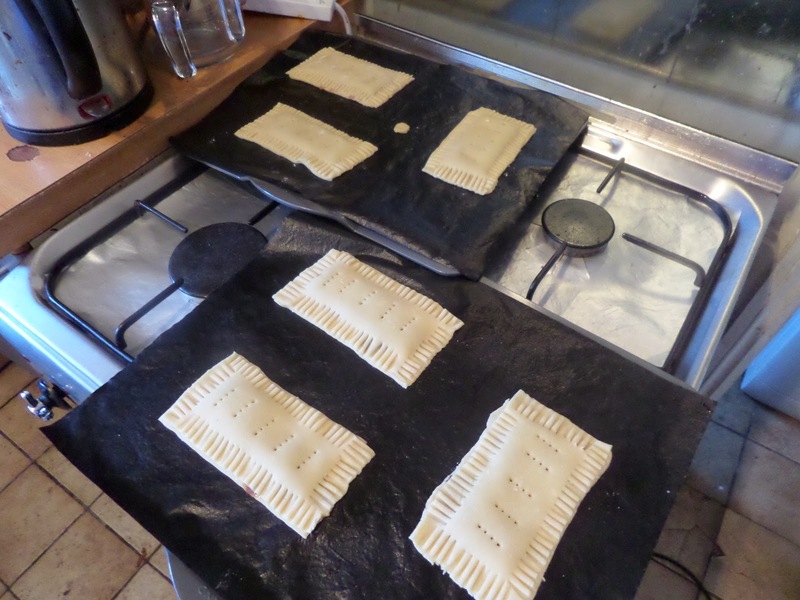 Roll out the dough and cut into rectangles, put in the fillings, put water on the edges and crimp the edges with a fork to seal. Prick the tarts with a fork. Chill while the oven heats up to 170C fan. 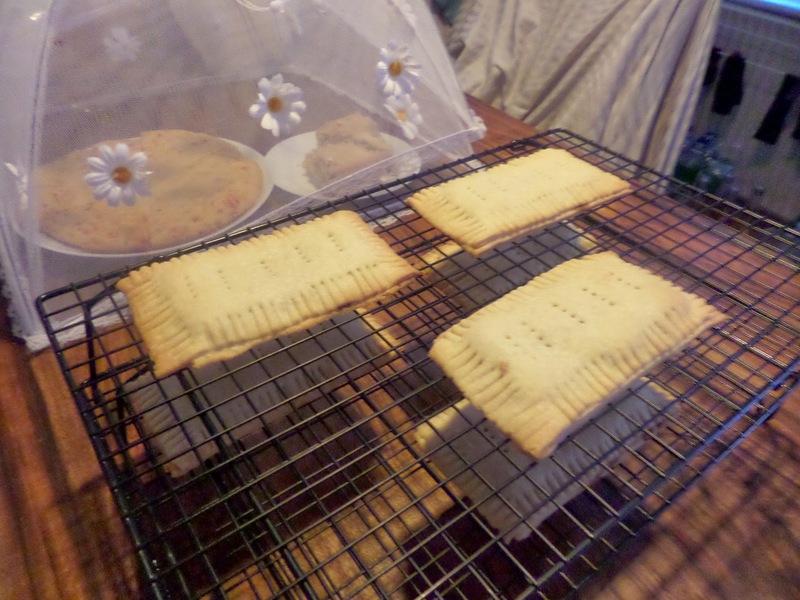 See the little bit of pastry on one tray? That means it’s the jam tray. Why am I mentioning this? Because I’ll forget what it means unless I put it in the draft of this post! And then after cooking Soph ate the extra bit of pastry… so who knows what we’ll get when we bite into them! Bake for 16-18 minutes, turning half way through. I ended up giving mine 20 minutes, as they looked rather anaemic even after 18 minutes. Cool on a rack. When cool add the glazes and sprinkles. 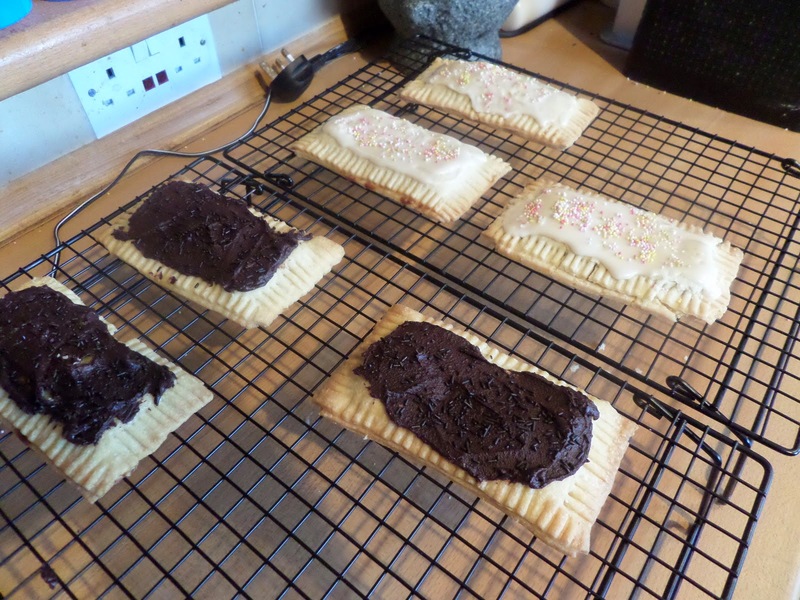 Years ago, I used to love toasted pop-tarts but I haven’t seen them in the shops for ages. Yours look just like the professional ones.